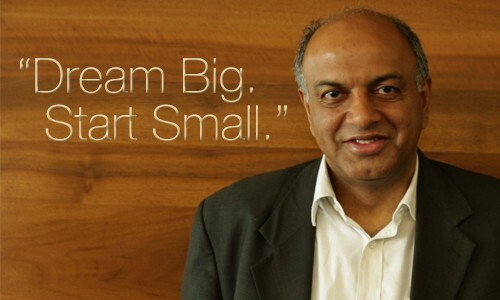 CASE STUDY:How Naukri.com became #no1 Indian job portal when the Internet was in its infancy? 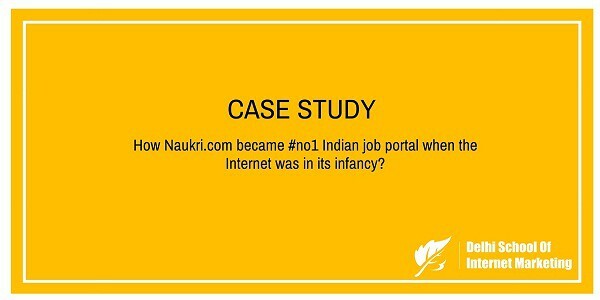 Home > Blog > Blog > CASE STUDY:How Naukri.com became #no1 Indian job portal when the Internet was in its infancy? Naukri.com is one of those organizations which don’t need any introduction. Naukri.com is an online job portal started by Mr. Sanjeev Bikhchandani in March 1997.The Company has its headquarter in Noida with employee strength of approximately 5000, operating through 56 offices in 42 cities across India and overseas. Talking about Mr.Sanjeev’s background he owns an undergraduate degree in Economics from Delhi University and after gaining some experience of corporate world he moved to IIM Ahmadabad for his post graduation. He quits a lucrative management job at HMM (now Glaxo Smithkline) to start off his own venture. The company first started providing salary review reports. These reports consisted of data from various categories of professions like engineering and management. Further these reports were sold to various companies as per their requirement. 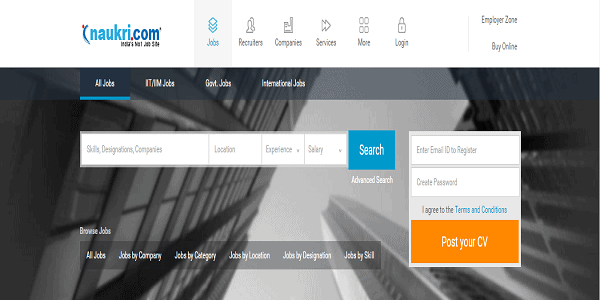 Now the company is a fully fledged online recruitment portal and it receives around 3,569,343 unique visitors and 28,554,744 page views per day hailing a Google page rank of 6 out of 10. While Mr. Sanjeev was employed with HMM, he worked in an office premises which was not as luxurious as we have in our present working environment. He used to sit in a hall with his peers and what he noticed is that whenever a Business India magazine comes to his office all were busy in reading it from start to end. In the magazine, there were appointment ads which everyone was keen to know and discuss about, but no one was ready to switch it because everyone was satisfied with the perks and Compensation Company was offering. So, by the conversation surrounded by him, he noticed that “Even if you are not looking for a job, you look for a job. You are constantly looking for a new benchmark and checking if you are missing out on anything” and he also found that not all the vacancies are published in those magazines, some were hidden and those opportunities can only come to you when any headhunter used to call to the selected candidate. By this entire day to day scenario he analyzed the market and figured out that whatever job opportunities are published they are just the tip of the iceberg. He understood the market potential that was below the surface, highly fragmented and scattered between HR departments and consultant. He came to the conclusion after all market research that this can be a powerful product and one can make good amount of money. So not just he kept his idea on a piece of paper, but also implemented it and you can see where it stands today. The company began as a bootstrapped start-up when the Internet was in its infancy. Soon after its launch in April 1997, Naukri.com’s revenue in the first year was INR 2.35 lacs, having received their first cheque after 6 months of starting the business, simply because they never asked for money earlier. Then in October 1997, they sent out a letter to 3,000 companies about Naukri.com and its services. Soon, from INR 2.35 lacs, next year when sales rose to INR 18 lacs, Sanjeev realized the huge potential of the business. It obtained some venture capital funding in the year 2000 and has been earning profits since 2002-03. From an initial beginning as a job listing web page to a full-fledged online recruitment company that has a database of more than 2.5 million resumes, more than 1,500 corporate clients, and projected revenue of INR 400 million. 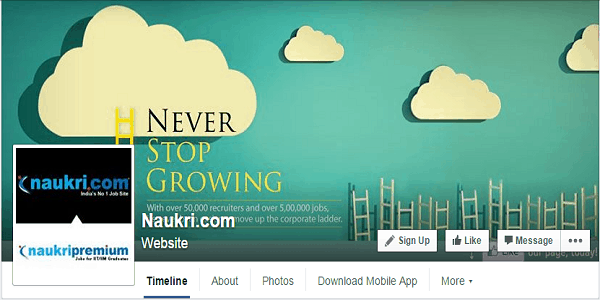 Naukri.com is now a company which has all the potential to grow and compete with other companies in the same domain. Naukri.com earns $ 28,555 per day and estimated its value as $ 30,839,400. Naukri is an INR 300 billion brand now and clearly 70% of our revenues and 120% of profit come from Naukri. 1) B2B – Its main product is RESDEX which provides end to end recruitment services to various corporate companies starting from small to big giants. The services offered to the companies are like resume database excess, vacancy listing, email marketing, SMS marketing, etc. Major part of the company revenue is generated through this channel. 2) B2C-The Company offers various services like resume writing, profile enhancement, recruiter reach and some premium jobs to the job seekers. The company is generating revenue from space selling tool which means advertising other companies directly or indirectly on its portal generating $2128 USD per day and $ 63,854 USD monthly. The company believes in cross channel marketing to increase its visibility and reliability among the target audience. As it is not possible to see the shore of the sea in the same way their target market is not having any boundaries. Most of the traffic on Naukri.com website is coming from organic way and it contributes about 51.23% of total traffic and the rest of the traffic is coming from the below mentioned categories. It includes both organic marketing as well as inorganic. Organic means from where the traffic is coming naturally that is SEO, while inorganic means the traffic is coming from the paid form. 26.7% of total traffic is coming from Search engine marketing and SEO contributes 96.16% of total searches while the rest of the traffic to its website comes from a paid form of search engine marketing. Social Media marketing contributes about 1.25% of total traffic to its websites in which Facebook contributes about 70 % of the traffic and rest 30% comes from Twitter, LinkedIn, and YouTube etc. Email marketing is one of the best ways to build the relationship with the prospect client by sending them regular updates as per their need and in the case of Naukri.com it contributes about 5% of the total traffic to its website. Major part of the traffic is coming from India, which contributes of about 92% of the total traffic while the rest of the traffic comes from U.S., U.A.E., Pakistan and Japan. They came up with 2 TV commercials which were very funny eventually, one was Mr. Hari Sadu and the second was to promote the Naukri app. 1) Naukri.com has the first mover advantage. It is still paying off till date with naukri having the best brand recall in terms of job portals. 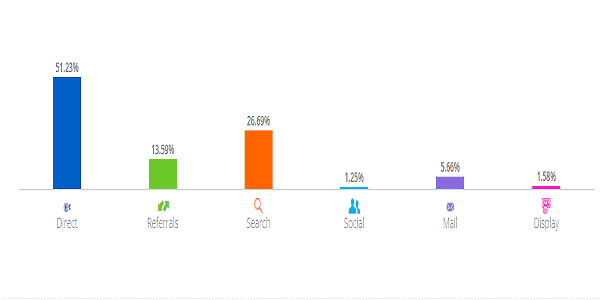 2) It is ranked as India’s number#1 job site on all parameters- page view, reach, and traffic. 3) It has the advantage of a clear revenue model since its inception. While it has a few services that are free to both job seekers and job providers, the majority of their services are paid for by the recruiters. 4) It provides advices and suggestions to job seekers on resume, interviews, salary negotiations etc. 5) A large database of Job Seekers and providers. 1) Employer Branding on Naukri.com is hardly visible, which is a major product flaw on the portal. 2) There is a high level of attrition. 1) To persuade more companies to utilize the portal by emphasizing lower recruitment costs. 2) To persuade more employees to post their resume on website. 3) To integrate more closely with the HR department of various companies. 4) Internet users are increasing day by day. 1) Improved services and offerings by competitors. 2) Newly emerging competitive job portals. 1) In 2006 – Received the Consumer Connect ‘Campaign of the Year’ award for the Hari Sadu Commercial at the Advertising Club, Kolkata. 2) In 2006 – Received the “Red Herring Asia 100” 2006 award for the INSTA HIRE Solution. 3) In 2007 – Won the ‘Best TVC India and South Asia’ at the CASBAA TV Advertising Awards 2007 for the Hari Sadu “Name Calling” commercial. 4) In 2012 – Naukri.com has been recognized as the best classified website at the 2nd edition of the India Digital Awards organized by the IAMAI. 5) In 2014 – Bagged the Best Website of the Year (WOTY) award in the career and education segment by Metrixlab.